Just want to share an ‘interesting’ phone call. So it appears that I won a bottle of wine at an expo a couple of weeks ago. Yay me! Do you do this at expos? It’s a great way to build your list and get in touch with people who want to learn more about what you do. This lady had an expo stand advertising her video business. I chatted with her about the fact that I may be doing some videos in the future and asked her a bunch of questions. I also mentioned that someone like her could be a great resource for VAs who are looking for this kind of supplier for their clients. She could see that I was interested and that means I could be a potential client for her, or be a good contact to bring in loads of work to her business. Basically, I was a nice warm lead. So I entered her prize draw for a bottle of wine – even though I don’t actually drink red wine! What I really wanted was to keep in touch with her. This is the main reason I put my business card in the draw. Well, lucky me – I won the wine! I was rather pleased to receive the email informing me that I’d won this prize because it meant that I would be able to have a chat to this lady about her biz… and what it can offer me and my VAs in my business. However, this lady has got it all wrong. When she called me to arrange to drop off the bottle of wine at my house, she made no comment about having a catch up to talk about anything at all. I said to her “oh, don’t you want to catch up and have a chat? Let’s have a cuppa somewhere”. She was totally unprepared for this. I got the feeling that she just wanted to drop the wine off and get it over and done with. Doesn’t she realise this is a golden opportunity for her to sell her business offerings to me – a captured audience? She ummed and ahhed and didn’t know what to do! I asked her where her office was and suggested we meet somewhere half way. She suggested a place that she’d been to, but she didn’t know the address of! I googled it while we were chatting and it was miles away from either of us – a totally ridiculous option. In the end, it was me who suggested my local cafe and a time and a date and we are meeting there in a couple of days. But when I get there, I think I’m just going to have my cuppa and get my bottle of wine. I don’t think I want to do business with someone who has no idea how to follow up or network. Of course, I will leave my options open and see what happens at the meeting, but based on what I’ve seen so far, I also don’t think this person would be someone I would recommend to my clients or colleagues. So the lesson here is don’t waste wonderful opportunities when you are networking! Have a follow up plan. Do a bit of research on the person you are going to meet with – I wonder if she even knows what my business is! Work out what you are going to say. Work out what you need to find out at a meeting so that you can help the potential client. You never know who they know and even if they don’t need your services, they may just know someone who does. Have You Planned Your Year Yet? Planning is so important. Do you have a plan set out for this year yet? What does a plan look like for you? Is it a series of goals? Is it a vague idea of how much you need to earn? Is it a bit vague overall -egg “get more clients”? Having goals is great but have you made sure that you have laid down goals that are measurable? So if one of your goals is “get more clients”, can you see that it may be more helpful to say “gain 2 more clients each month till I have 10 clients”? See how that makes it easy to see if you are reaching your goals? Once you’ve set your goals, you can then break it down into action items in order to achieve them. It may also be helpful to create monetary targets around your goals too. Eg Get 2 clients a month on my $500 a month package. Doing this means you will aim higher. Otherwise you may run the chance that you are getting 2 clients a month paying you $50 which isn’t really what you’re after. So how do you do that? 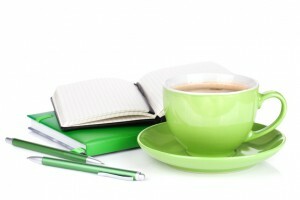 Stay tuned for my next blog: “Co-ordinated Plan For Success” at the end of January. In the meantime if you want coaching help on planning fir the year, email me at Chris@c2admin.com.au. I’m often asked what my favourite tools are for running a virtual business and I thought I’d share my Top 10 with you today! These are in no particular order, but they are the ones I’ve used today! There are more that I love to use, but these are some of the tools that I love and that I work with every day! Have you ever wondered – What can a virtual assistant do for me and my business? Sometimes the answer itself can be a little daunting because what your virtual assistant can do for you and your business can be as unique and diverse as the individual VAs themselves! Answer your emails this way: “Hi! My name is [your name]’s virtual assistant” Having your VA answer your emails in this way does two things – it makes your business look bigger than it is, and more importantly, it frees up your time so you can work with your clients. Your VA can deal with the simple emails, and forward your important emails for you to action. After some time, you can teach your VA to answer emails the way you want them answered! A VA can be the bookkeeper and payroll officer – let your VA worry about the invoices coming in, have her/him post it in an Online Accounting system (that you can also check later on) with this out of your mind – you can focus more in other important stuff such as running your biz! Having a company event? Your VA can spearhead the planning! Your VA can source the venue, organise the menu, send out invitations, manage RSVPS, etc – all online! And make the event a memorable and enjoyable time for you, your company and your guests! Recruitment – having a VA to create and place a job advertisement, sift through applications, shortlist candidates and conduct phone interviews can save you a lot of time! 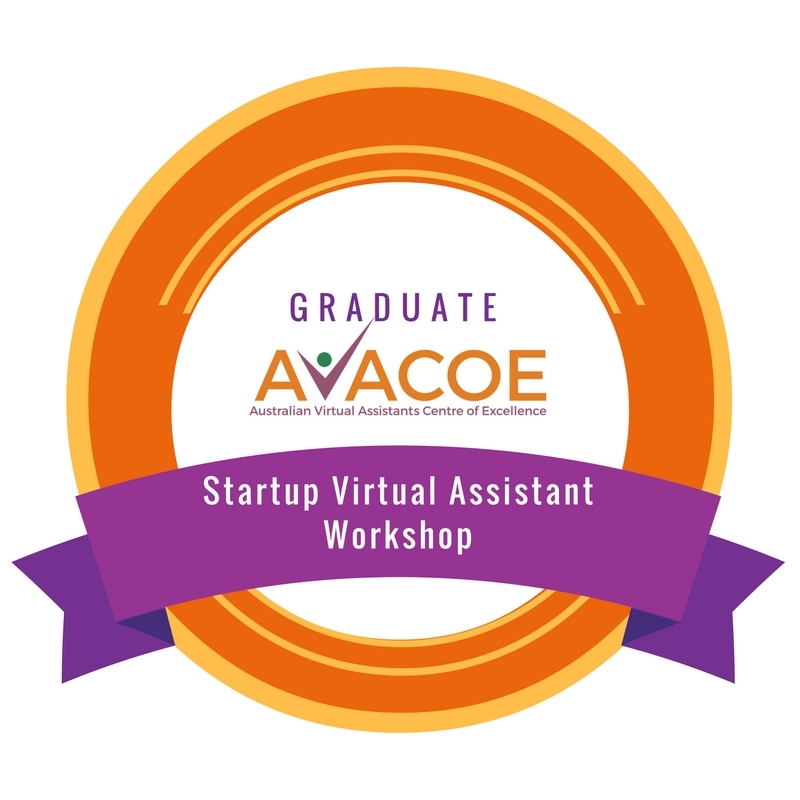 Your VA can even facilitate the hiring, interview and training of new staff! Data Presentations – Your VA can transform raw data into a clear, stunning PowerPoint Presentation! Data Entry – Collected a bunch of business cards but never entered them? Got information on entry forms from a competition you ran that need entering? Have regular sales figures that you need to enter? Scan them or post them to your VA for entering into your database. Appointment and Schedule Organization – Let your VA handle your schedule for you! She can set up meeting appointments, interview schedules and leisure time in your Google Calendar – you just don’t know how much more simple and organized your life can be! Marketing and Social Media support – Increase your clientele with the help of your stunning VA! She can spread the word, create stunning marketing collateral and provide service for your customers! She can also do Social Marketing using different online Social Media Sites such as Twitter, Facebook and LinkedIn. Web Research – Most VAs are a wiz at web researching! Just prep your VA, give precise instructions on what results you want, where to save and voila! You have ample time to do other things! Plus she can also research the lowest air fare or accommodation for your upcoming trip! Upload blog posts on your blog – If your VA is knowledgeable in WordPress, she can help you upload blog post and even create the post herself! There are some times when being a business owner and a parent collide! When you are faced with loads of work and stress and yet you have had barely any sleep. And because you’re the boss, it’s just not possible to call in sick. So, how can you make it through the work day without snoring in front of your laptop or going insane? Coping on minimal sleep isn’t easy. Because you are a business owner and calling in sick is not an option, here are some survival guides to make it through the day! caffeine is a stimulant and will get you going. Try having small doses of caffeine instead of one big mug of it! It works better. Also, did you know that caffeine is diuretic which means it will make you pee loads and loads! And there is no better way to keep you awake than having to get up to go to the toilet a lot! Yup, you heard that right. Get up for a few minutes away from your laptop and go outside. Even just for a few minutes. That time you have spent walking towards Mr. Sun will bring some energy back, boosting your blood to pump and get you energized and feel less fatigued. And also, make sure to avoid dim places (such as your bedroom!!) Work where it is bright and properly lighted. Don’t do it again – be gentle! Whatever kept you awake the previous night? Unless it was the kids that kept you up, don’t do it again. Puhlease. Of course, if the kids are sick or teething or feeding in the middle of the night, there’s not much you can do about that. So be gentle with yourself. Have a nanna nap if you are able to during the day. Ask your client for an extension on a project. Get some help if there’s someone around that can help you out! When you are tired, you can get cranky and irritable, so remember to love yourself and look after you first, so that you can look after everyone else. Be gentle and understand that you may be a little less productive – it’s going to be OK! You may find one of my favourite sayings to be helpful “Is it really going to matter in five years?” If it’s not, let it go… the deadline may go over, but if it doesn’t affect anyone long term, then it’s OK to let it slide just this once. Why Should I Pay $40 an Hour for a VA? On a forum I belong to, this morning a few questions came up around whether or not it really is financially beneficial using a VA. I thought it worthy of a blog post. Ummm, sounds like I’m right, $40 p/h vs. $20+super. Any staff need to be trained on what to do, what equipment does a VA come with? A computer? What would they need? Even if full time employed it’s still cheaper than a VA. I don’t think I could trust someone I hadn’t met or had any relationship with other than here’s my credit card details do this job please that I can’t be bothered with. How would you account for the hours? It’s just wide open to getting screwed for time. How on earth will the VA do my filing when they’re somewhere else, if they’re calling people outbound does the rate include the calls?? How is their time logged? As a VA myself, I may be a little biased . You’re right [member’s name], any staff need to be trained – and a VA may need some training too, but they are not staff. I have spent many an hour learning new technology that my clients use – and I don’t generally charge them for more than the agreed learning time. I figure it’s my PD because it’s another skill set that I can add to my repertoire. As for equipment, we generally have all the software required downloaded onto our computers… as well as our own computers. The client also doesn’t need to provide office space, office furniture, electricity, heating, stationery, not even paperclips as the VA provides all that stuff. This stuff all adds up – and all the business owner has to pay is $40 an hour! Good value IMO. The trust issue is a very valid point! Most VAs are happy to have a meeting with you, or if they’re too far away, a Skype meeting. You can really get a feel for people when you meet them. Most VAs are also happy to have a probation type arrangement where both can assure that they are a good fit with their clients. 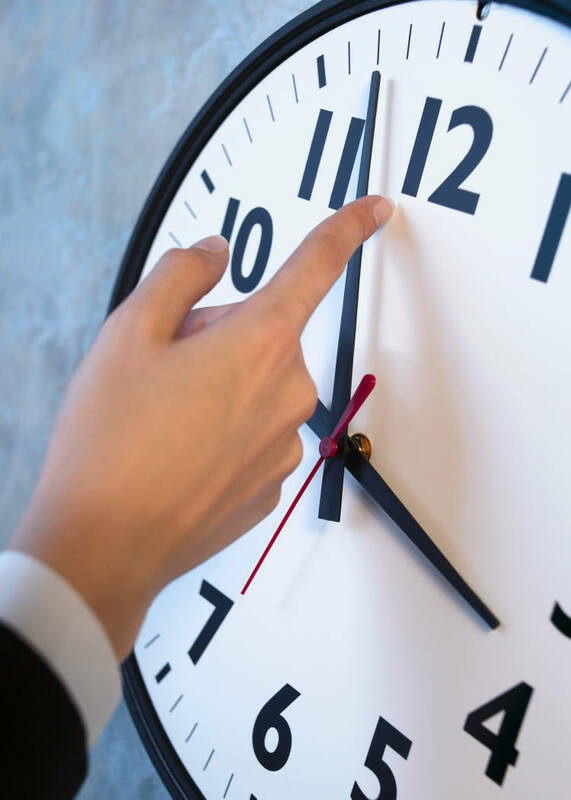 Most VAs use Time tracking software to account for their time and will provide that with their invoices. Most VAs are highly trained professional business owners who can help you with your business so efficiently that you will have time to do your own filing. If you need outbound calls made, you will have that discussion around rates including calls or not – and come up with a mutually agreed decision. [Member’s name], most VAs in Australia are highly skilled, indpendent business owners. They are not employees and as such they bring a different dimension to the client/VA partnership. They bring business experience and practical experience. They work as a sounding board and sometimes very unofficially as an advisor. They are in business, so they understand what a business owner needs and wants. Not being able to master one’s time is like shooting without a target. However, having a good business efficiency technique can grant you the power to save wasted time, and thus money – as well as your sanity. Do a Time and Motion Study. This is the direct observation of a task from the time you initiated it to the time it was done, keeping track of the activities in between that may or may not contribute to productivity. The idea is to recognize the things that can be controlled and discontinue the tasks that inhibits productivity (e.g. emails, texting, Social media, etc). Use the 80/20 rule. This rule basically says that 80% of your results come from the 20% of your efforts. Identify the 20% of your daily schedule where your business productivity is heightened and focus your attention in it. Learn to delegate. Create your own set of minions, your own version of mini me’s that can work without your supervision, but you can be guaranteed that their work will always gain your approval. Train them well to be just like you. Turn Off Your Email Alerts. This will save you from looking being distracted every time an email comes in. You can focus on the task at hand in total concentration and then YOU determine when you check your emails. Beware of the Shiny Object Syndrome. These will be distracting you from your goals so keep away from such temptations. Of course, because I’m a VA my favourite is number 3, how about you? Whattt??? Just think of a time you’ve made a mistake – you know it can happen any time. We all make mistakes, and as we all go merrily along on our regular course of doing business, a few missteps are bound to happen. However, did you know that having a virtual assistant can make you look good without having to make her look bad? Here’s a true story of how I helped my client save face last week. I sent an email blast for this client who had inadvertently misspelled someone elses name in the body of the email. As I didn’t know the person my client was talking about, I didn’t know the name was incorrectly spelt. One of the email recipients picked it up and told my client that they were unimpressed about the incorrect spelling of a well-known person in this particular industry! YIKES!! Here’s how having a VA helped my client! What my client did was just simply to offer an apology and say that it was because of me – her VA. She made out that I had made the mistake, which is totally fine by me because HER client doesn’t have a clue who I am. I felt great that she was able to save face, placate her rather irate client and save the day! So while I don’t advocate totally blaming your VA to your clients for every error – (and to be honest, if there are grammar and spelling mistakes and your VA isn’t correcting them, then you should get rid of them anyway, they’re not doing their job right!) – it can come in handy if you make a big boo-boo like this lady did. Who needs a virtual assistant? As a small business owner, you do! There’s a lot of stuff you need to do to run a small business! As a small business owner you need to effectively promote your business to generate new work and to keep it afloat. Would you agree that you engage in a lot of activities that take up a lot of your precious time… time you could be out earning money! Yet, so many small business owners are reluctant to hire virtual assistants and do not understand that hiring one will actually help to increase the bottom line. You need to increase productivity. By productivity, that means activities that lead to profits and daily repetitive administrative tasks are not one of them. You need to cut costs. How much are you losing by doing tasks that you can otherwise outsource to someone at a lesser rate? Let’s say your 1 hour has a hypothetical cost of $100. No matter what you do, whether you’re doing sales activities or office tasks, your costing your business $100 per hour because that’s how much you’re worth. Hiring full time employees is not cost-effective. Aside from paying salary, you need to consider other overhead costs that go with hiring a staff – like office equipment, superannuation, holiday pay, sick pay, stationery, software, etc. You’re doing everything yourself. Yes, we know, your hands are not just full, they’re overflowing and your head is doing some sort of weird spinning thing! You’re feeling burnt-out. If every day it feels like a chore going to work, then you’re not running a business anymore – it’s running you – and that’s burn-out. So, who needs virtual assistants? Yep, it’s you, or maybe someone you know! 7 Reasons Dropbox Is Awesome! Today I’d like to share with you why I think DropBox is Awesome! Any business owner who is constantly online needs to have a safe repository that not only keeps their pictures and documents protected, but also syncs multiple gadgets at the same time. For entrepreneurs and business owners on the go, having their files in one place is very important. And something which they can access easily wherever they are is a must. Offline Access to Networking sites. Dropbox automatically downloads your pictures from several social networking sites, like Facebook, and stores them for offline access. Anti – Theft System. In an event that one of your computers got stolen, Dropbox is a hero by tracking down the IP address of your PC via the account security page. How good is that? ?AND for smartphones, Dropbox will automatically download any file that the thief uploads, thus revealing his identity. Assistance in Synching Multiple Devices. Settings will not be lost once you sync multiple devices with your Dropbox. That means that no matter what device you’re using, whether it’s a laptop or a smartphone, you get seamless integration. Saves game progress. Yes – for gamers this is awesome! A Back-up “My Documents” folder. This is great for saving documents which you can just forget about later until you need to access them. An Online Collaboration Tool. Dropbox enables team to collaborate by allowing them to share files, images, etc. for easy editing. File Sharing. Even if someone doesn’t have a Dropbox account, you can share files and documents with him as Dropbox helps you create URLs for sharing. Why WOULDN’T you love Dropbox? I use it every day in my business and I know you will too!! If you want to learn more about setting up a Dropbox account, simply email me and I’ll help you set up your account FREE OF CHARGE!